(Coppell, TX) – Drivers this year paid the lowest gas prices for Thanksgiving since 2008, and pump prices in nearly half of the states are now below the $2 per gallon. The statewide gas price average in Texas is $1.85 for a gallon of regular unleaded fuel, according to the AAA Texas Weekend Gas Watch. That price is one cent more than last week and 67 cents less per gallon than last year. 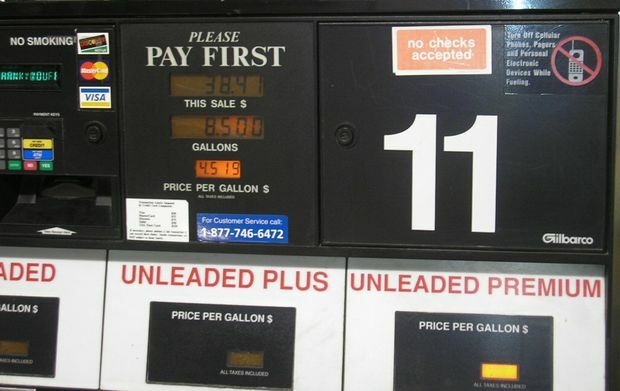 Of the major metropolitan areas surveyed in the Lone Star State, drivers in Dallas are paying the most on average at $1.90 per gallon while drivers in Amarillo are paying the least at $1.70 per gallon. The national average is $2.04 and analysts say the national average remains poised to fall below the $2 per gallon benchmark by Christmas. Oversupply and a strengthening U.S. dollar continue to impact global oil markets, keeping downward pressure on the price of crude oil. The latest data from the U.S. Energy Information Administration points to rising refinery runs and output reaching its highest rates since September. Demand for gasoline typically declines during the winter months and the gasoline market may become even more oversupplied in the near term, which should keep gas prices relatively low. Barring any unanticipated disruptions in supply, or swings in the price of crude oil, retail averages are expected to continue to fall leading into 2016. Motorists can find current gas prices along their route with the free and revamped AAA Mobile app for iPhone, iPad and Android. The app can also be used to map a route and learn traffic conditions along that route, find discounts, locate parking, book a hotel and access and track AAA roadside assistance. Learn more at www.AAA/mobile.com.